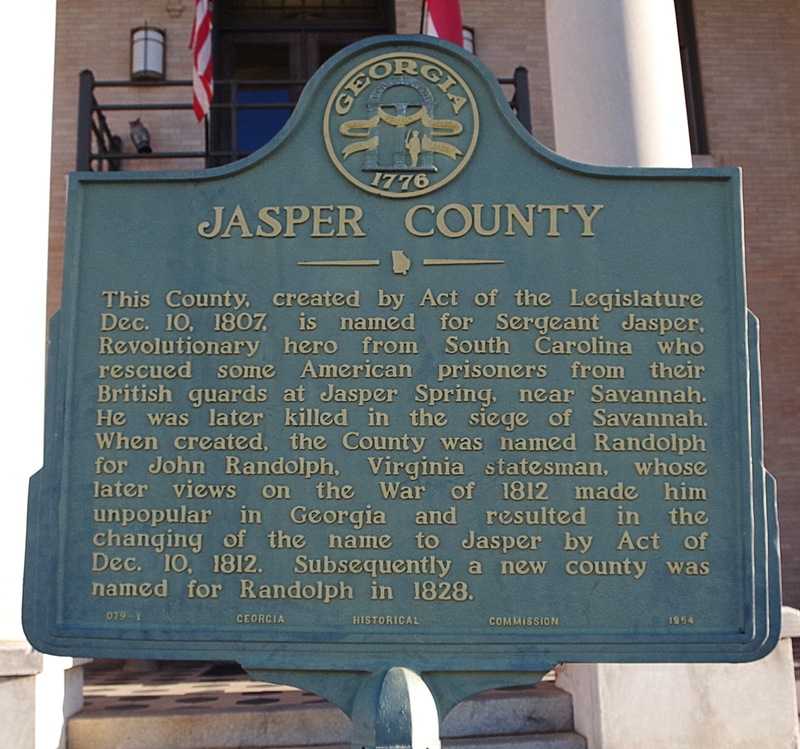 Jasper County is named for William Jasper, who was a Sergeant in the American Revolutionary War. Description: The building faces south and is a two story buff colored brick and stone structure. 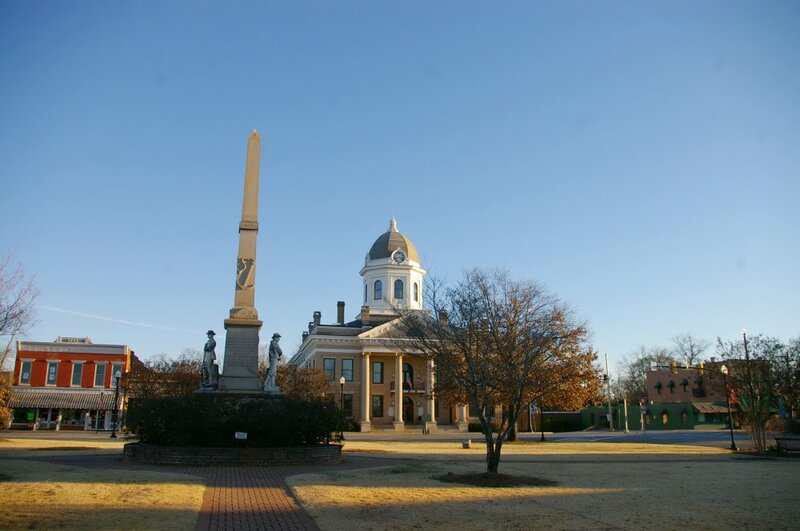 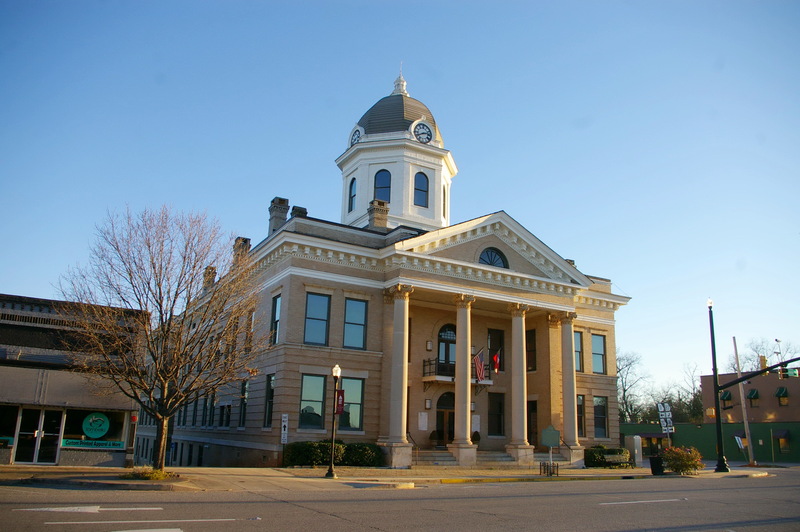 The building is located on the north side of Courthouse Square and the south front has a large portico with four columns rising to a pediment at the roof line. 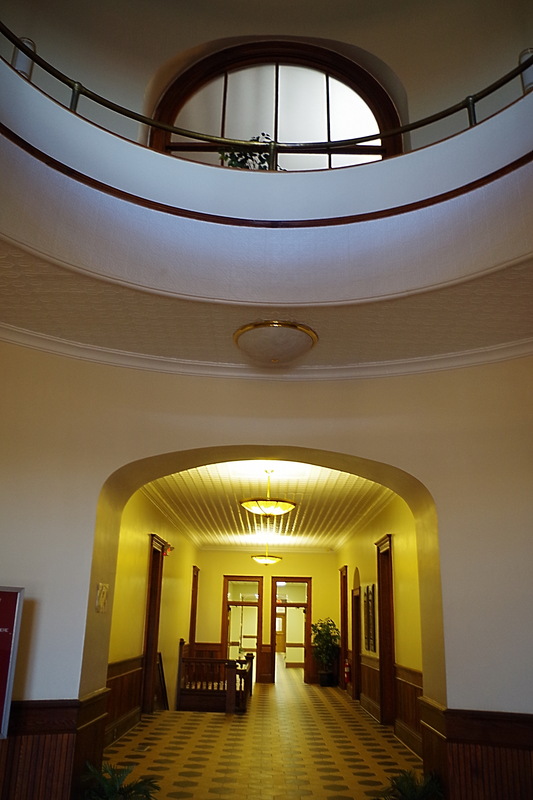 The recessed entrance is arched and there is a small balcony on the second story. 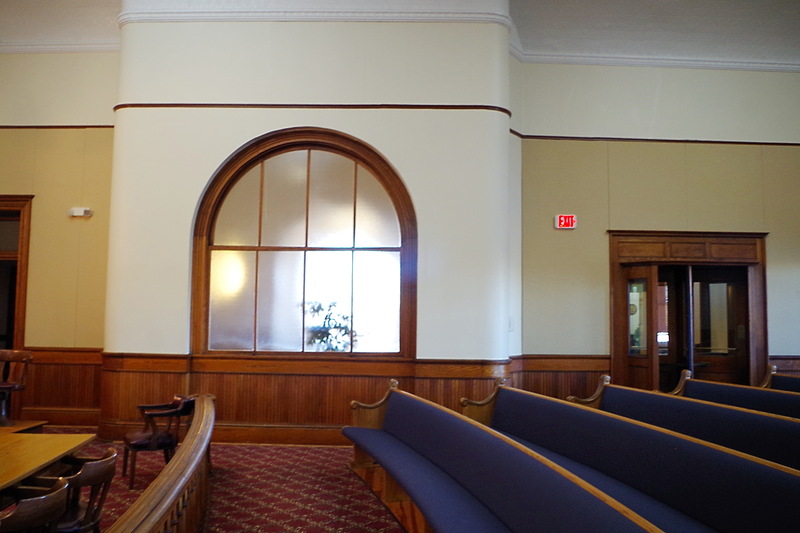 A wide cornice runs below the roof line and a narrow horizontal band runs above the second story windows. 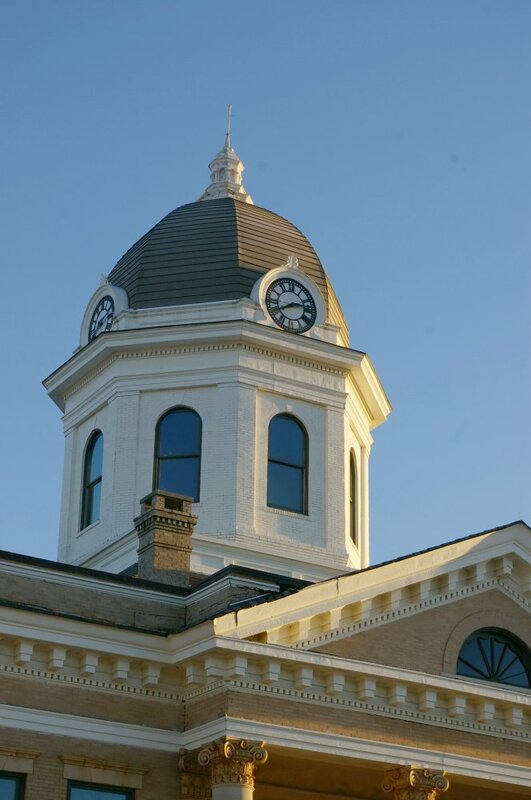 On the center of the roof is a large octagonal dome with clock and gold colored roof. 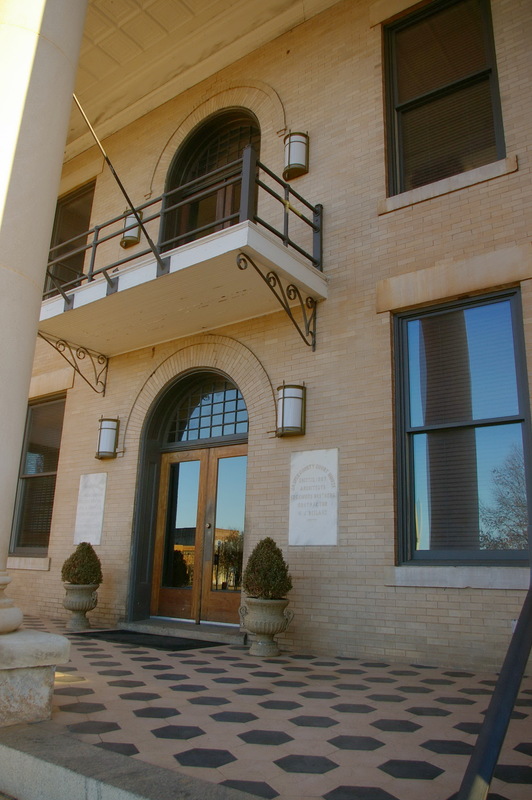 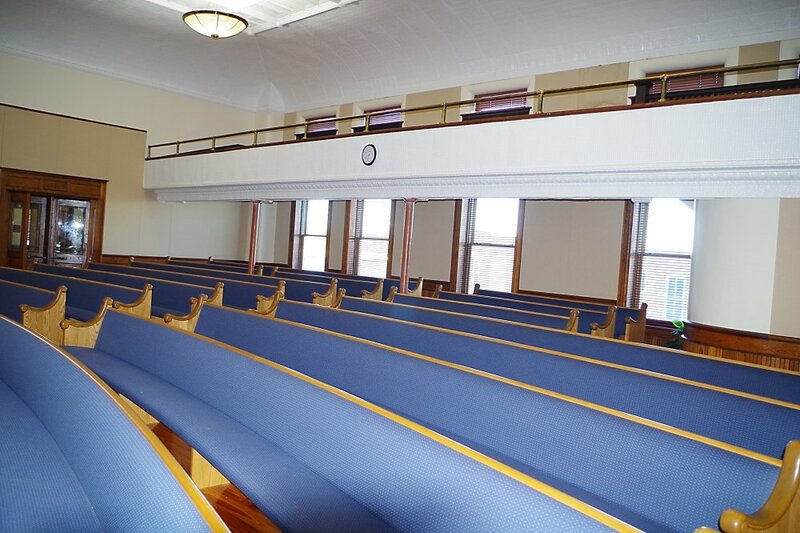 The building was expanded in 1990 with an addition on the north side. 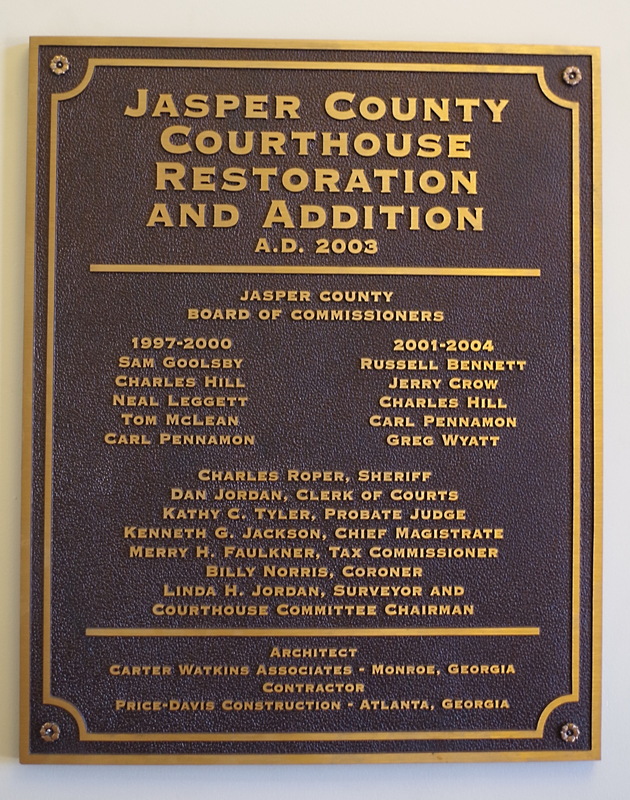 The building was restored in 2003. 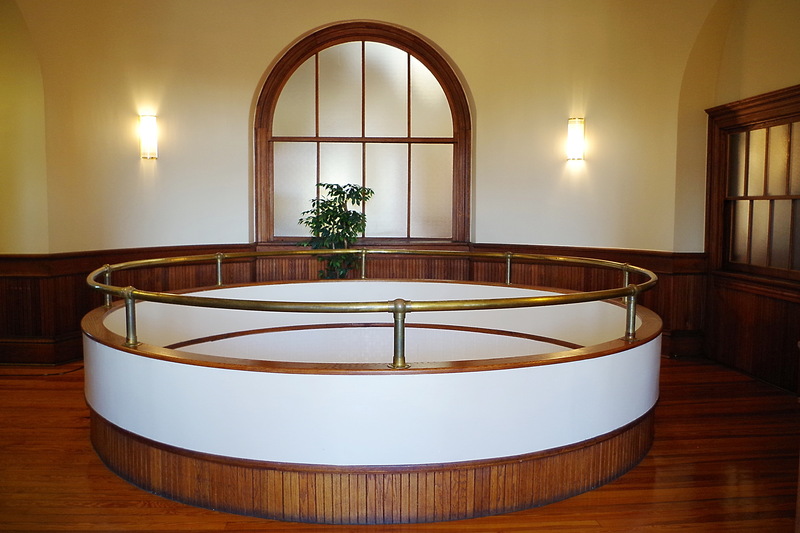 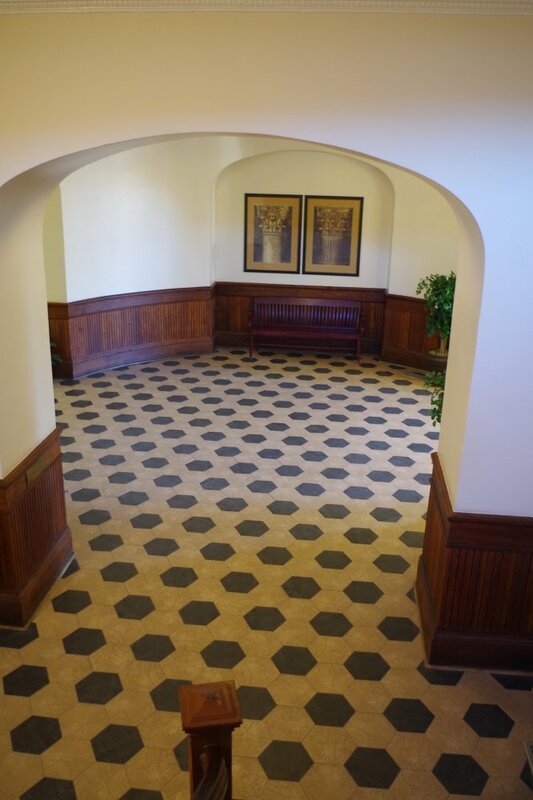 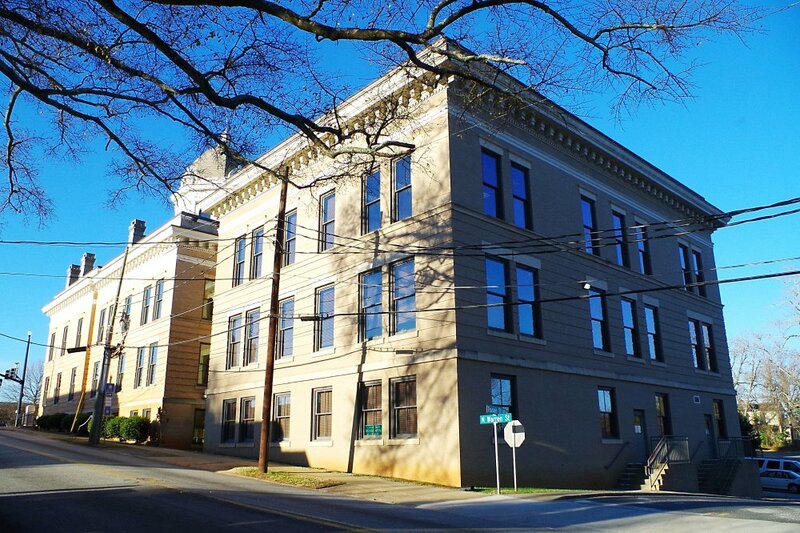 The architect was Carter Watkins Associates of Monroe and the contractor was Price-Davis Construction of Atlanta. 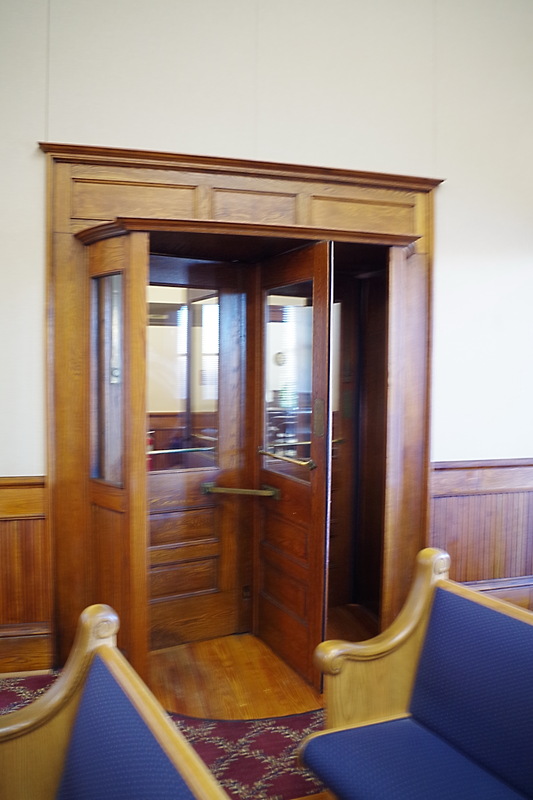 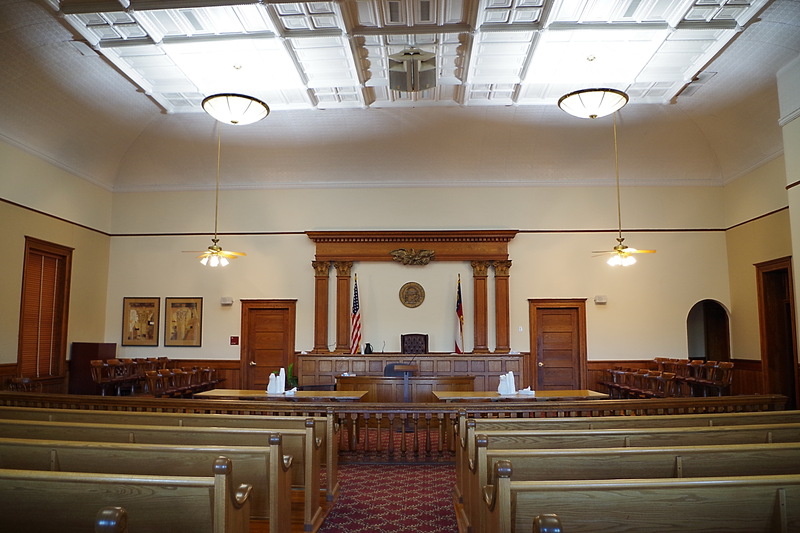 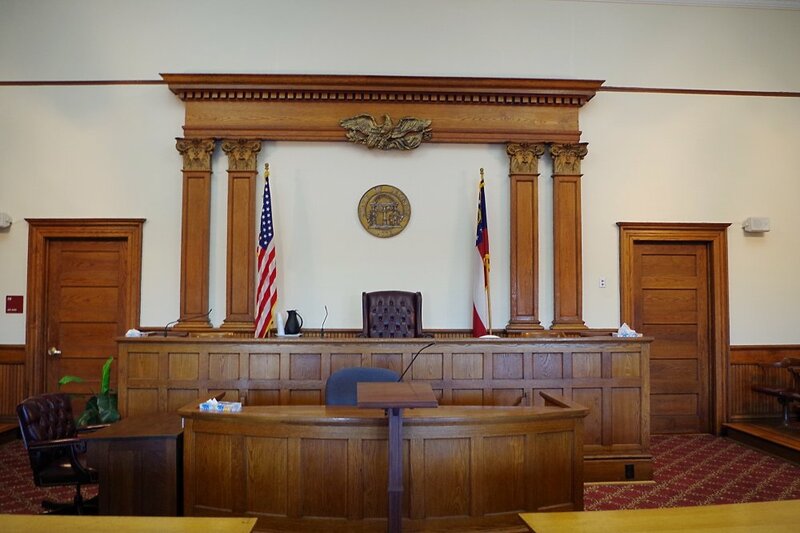 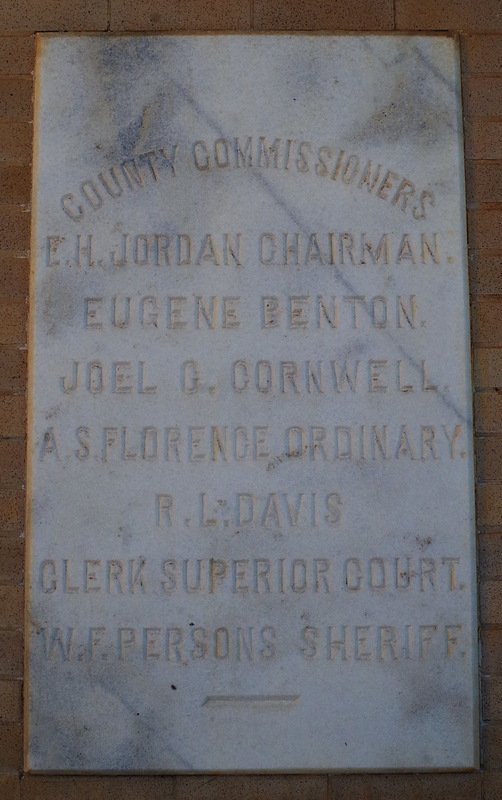 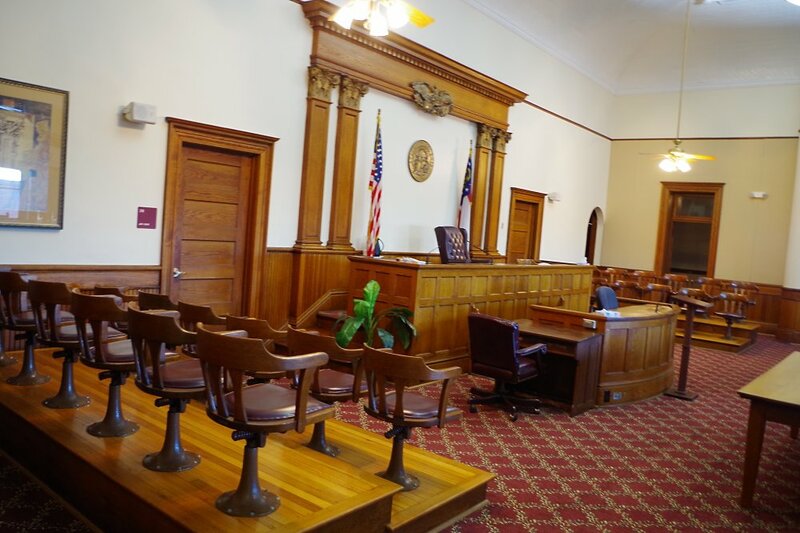 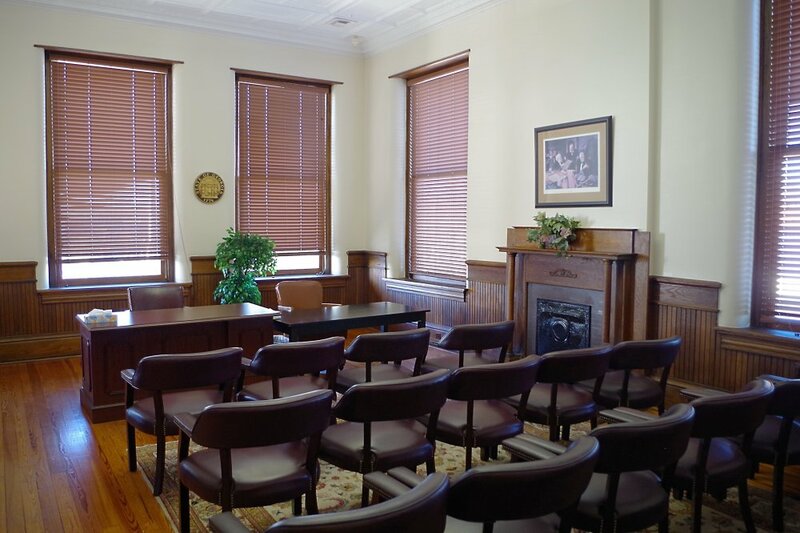 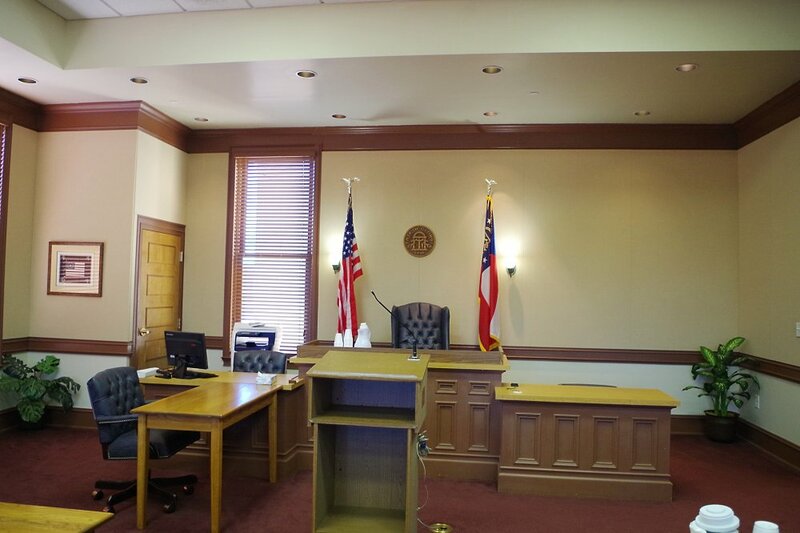 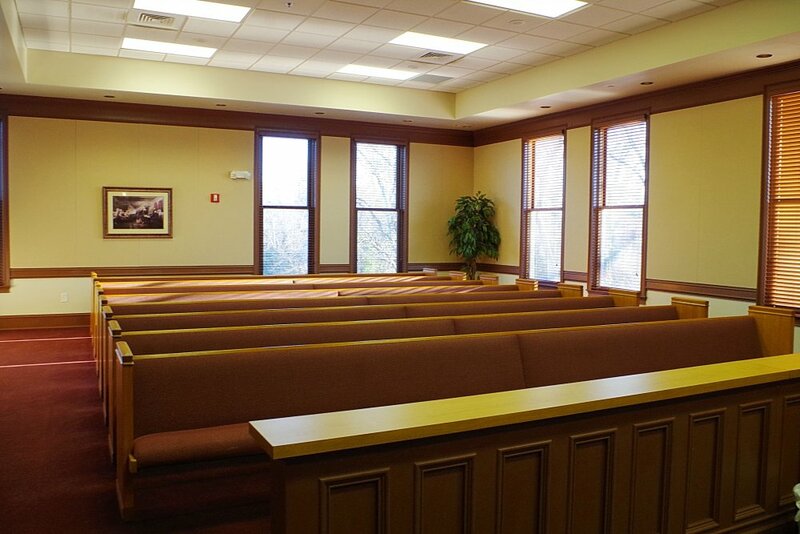 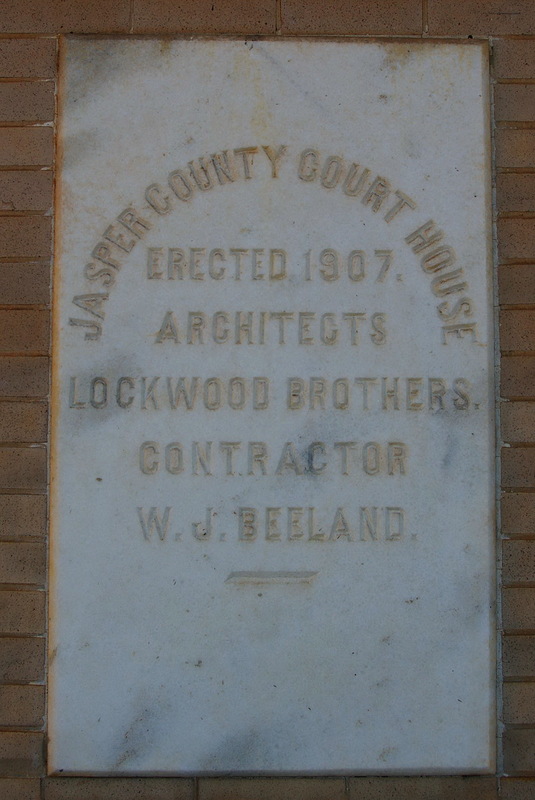 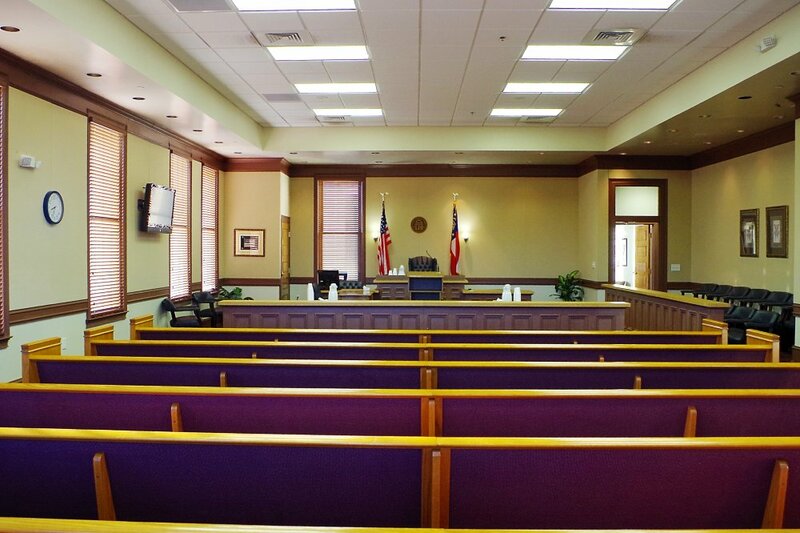 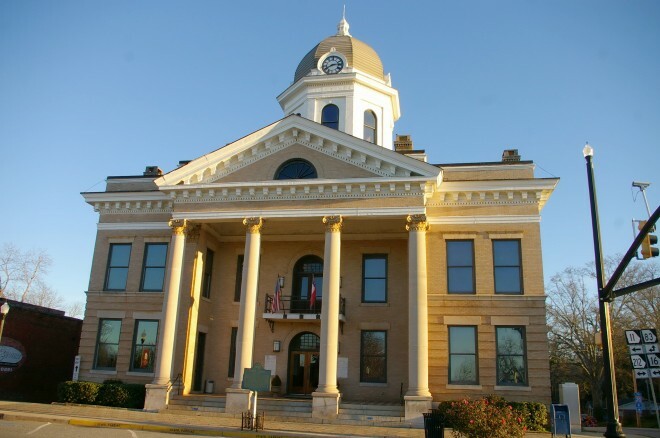 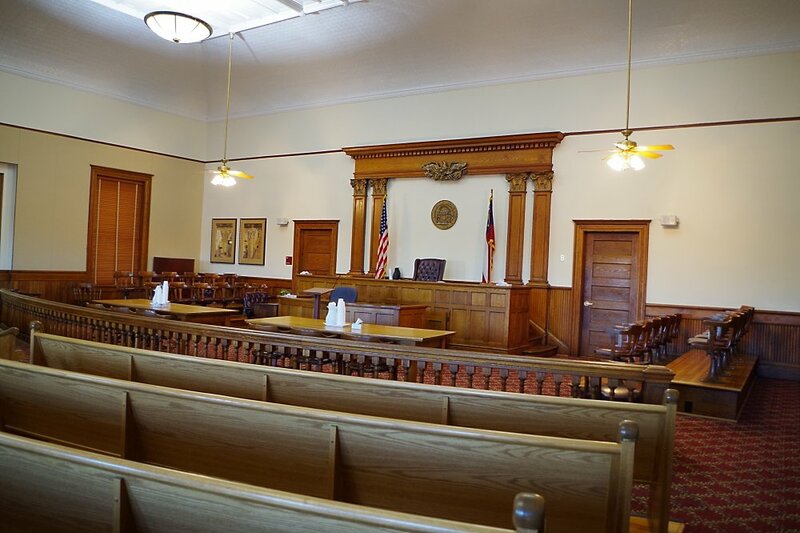 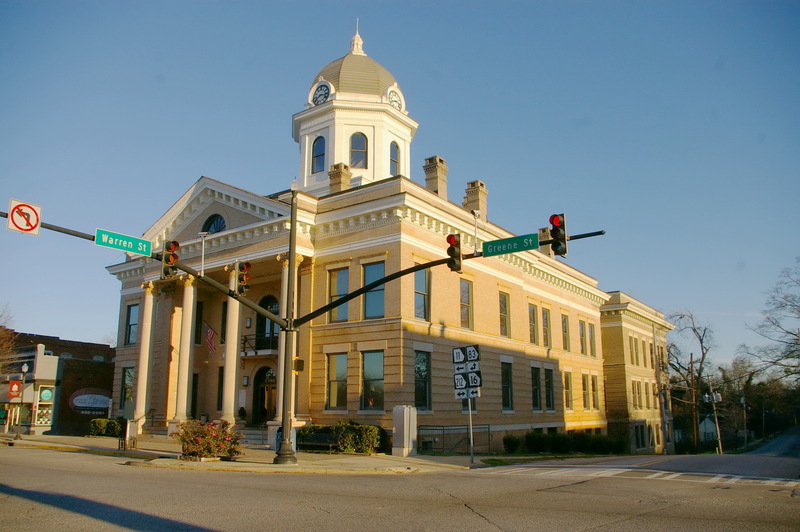 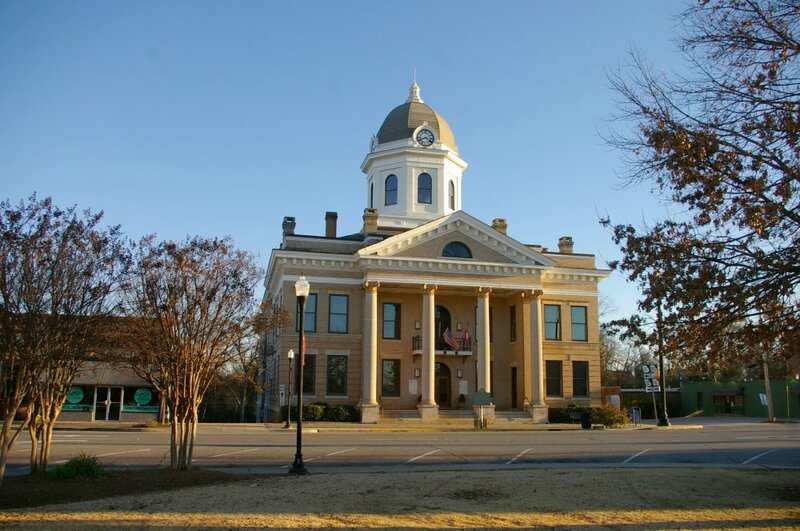 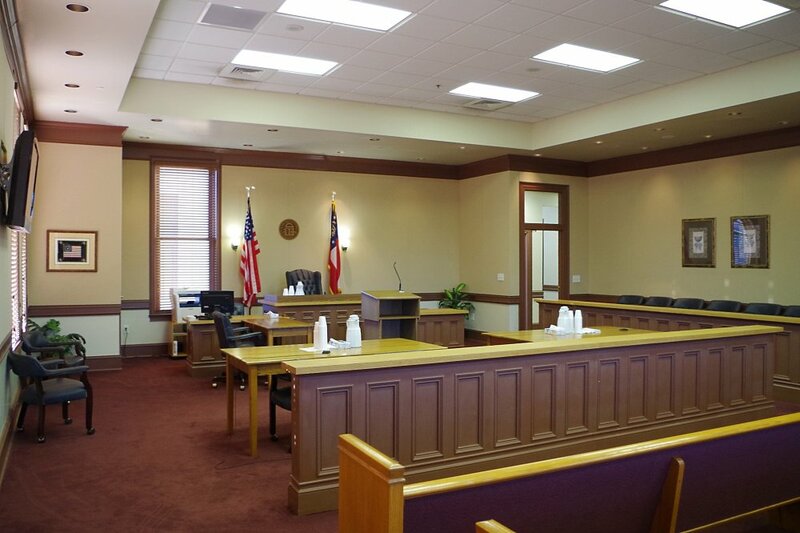 Note: The contractor for the courthouse J W Beeland, also constructed the courthouse in adjoining Putnam County.